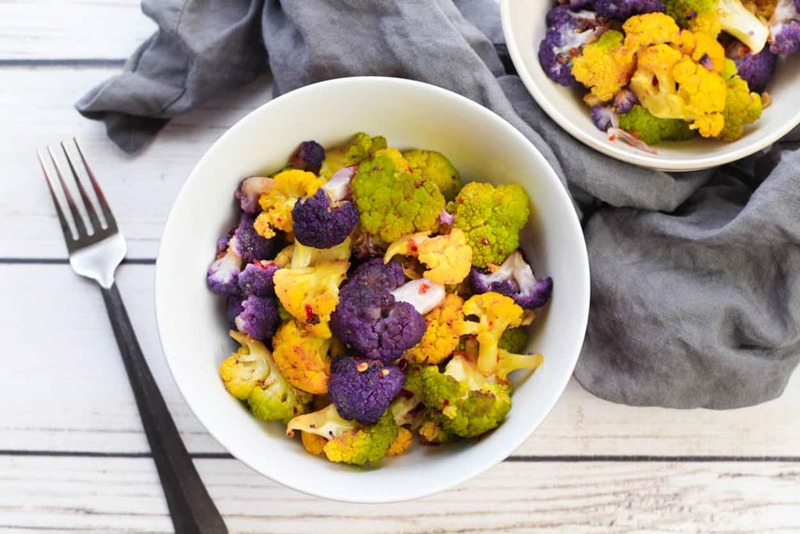 A sweet and spicy twist to season this gorgeous tri-colored cauliflower! 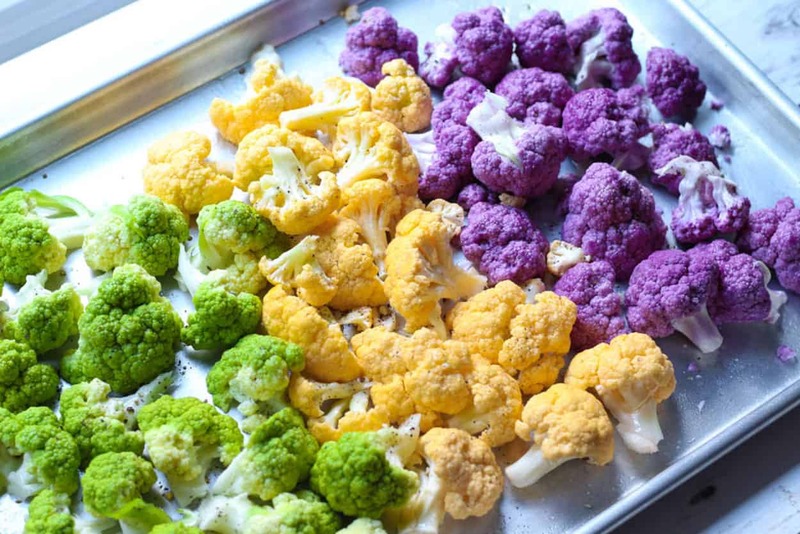 Roasting cauliflower makes it incredibly sweet, especially the colorful variety! Hi friends! Today is my first full day in PRAGUE!!! Gosh I am so freaking excited and cannot wait to share my trip with you when I get back. But in the meantime, I have two friends guest posting for my while I am gone. Today’s post comes to you from Lesli of Asian Caucasian! I met Lesli at the PoY Tasty Food Photography Workshop and I am thrilled to have her share her Asian inspired recipes with you. Hello Hungry By Nature foodies — I’m thrilled to be Ellie’s guest blogger today! I’m Lesli, chief foodie, blogger, recipe creator, and food photographer of Asian Caucasian. My blog brings you healthy, fresh, and crazy delicious, Asian-inspired cuisine that you can create in your own kitchen! My cooking partner, Damien from Singapore, and I met while living in Sweden with our partners as ex-pats. We became fast friends cooking for friends and entertaining. Fast forward three years, and we both end up in Atlanta (where my husband and I call home). That’s when we launched our food blog, Asian Caucasian (he’s the Asian, I’m the Caucasian in case you hadn’t figured that out)! So happy to bring you this exclusive recipe. We wanted to keep the theme of paleo and gluten-free for Ellie’s blog and created this super yummy recipe. Enjoy! Please visit us for more great Asian-fusion cuisine on our blog, Asian Caucasian and follow us on Instagram and Facebook. I’m all about color – we eat with our eyes, right? 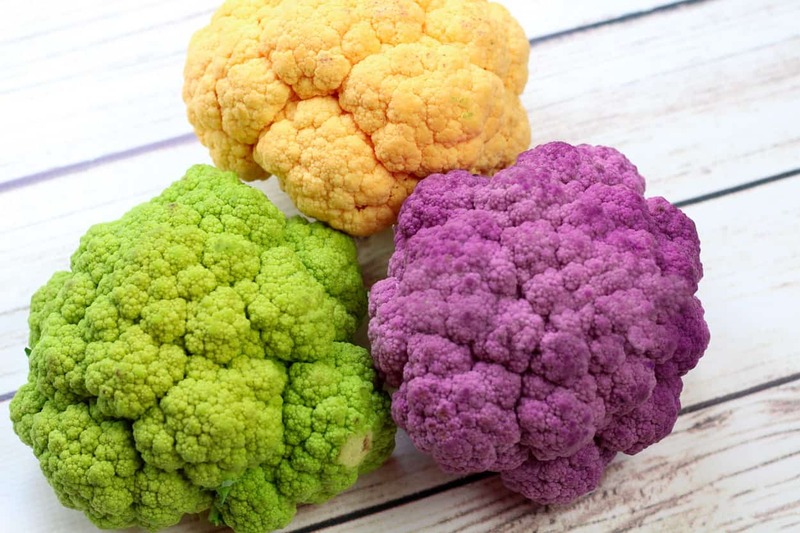 So, what could be more colorful than these multi-hued cauliflower heads? Roasting cauliflower makes them so incredibly sweet, especially the colorful variety! Drizzle the cauliflower with oil and a sprinkle of salt & pepper, and roast in the oven for 20-25 minutes until just tender. I’m betting the even the kiddies will want this colorful side dish. Roasted cauliflower beauty on a plate! What could be more enticing? Preheat oven to 400 degrees. Wash the cauliflower and thoroughly dry on a kitchen towel or paper towels. Cut or tear the cauliflower into bite-sized florets. Spread cauliflower onto a large baking sheet and drizzle or spray with oil. Sprinkle lightly with salt and pepper. Toss for even distribution. Bake in the oven for 20-25 minutes until just tender. Toss cauliflower halfway through to make sure both sides are cooked and lightly browned. Meanwhile, place all other ingredients in a small saucepan. During last 10 minutes of cooking cauliflower, sauté sauce over medium heat to reduce and thicken. Remove cauliflower from oven when slightly tender. Place in a large mixing bowl and toss with sauce. Serve immediately. Sambal oelek can be found at select grocery stores and Asian markets.